Volunteers are a key part of our life together. 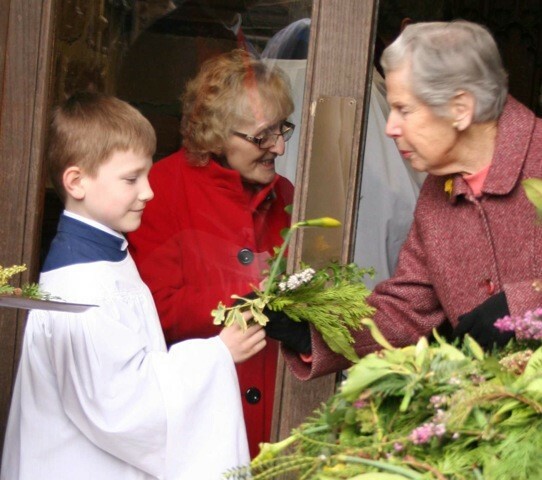 Hundreds of local people serve the church and its ministries in various ways including welcoming newcomers, teaching young people, leading house or fellowship groups, maintaining the churchyard and buildings, serving on church councils, or helping to keep church open by acting as guides during the day. Most importantly, many of our members are actively serving in the world, as part of their jobs, in charities or through work for social justice. If you have time or talents you feel called to offer talk to someone in church, or contact the Parish Office. If you sense a call to a formal lay ministry in church (for example, preaching and teaching as a Reader) or feel that God is calling you to be a deacon or priest, one of the clergy will be delighted to talk to you. If you are an existing church member and want to access a rota (for example, servers, intercessors or baptism course leaders) click here. Churchbuilder also hosts our internal church calendar and database.